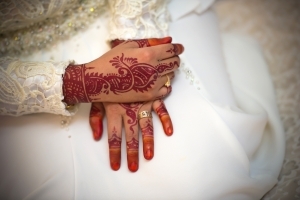 Muslim couples will have the additional civil registry before or after their religious ceremony (nikah). This can occur on a separate day and venue, for example at the Registry Office. However, some couples combine the two and have them on the same day. When someone is married abroad (e.g. religious ceremony is carried out abroad), the basic rule is that the marriage is valid under the law of that country. It is therefore ALSO valid under British law. However, do not assume that a marriage conducted abroad is automatically valid in the UK. It will only be valid if the procedures for registration of marriage in that country were followed. In most cases where the marriage has been accepted for immigration purposes it will be safe to assume that a foreign marriage is valid in our law (e.g. where one person has arrived into the UK on a spousal visa). Muslim couples that have their traditional religious ceremony (nikah) in the UK but fail to have a civil marriage, have marriages that are NOT recognized under laws in the UK. When Muslim couples in valid marriages divorce, both parties have a legal right to maintenance and their share of assets, including property. The courts will take all circumstances and history of the relationship when deciding on how to divide the assets, which could include looking after children and housework. However, when the relationship of a Muslim couple breaks down and they are in a marriage that is considered legally invalid, then they are regarded as a cohabitee. This means there is very little protection for the weaker partner, which is usually the woman. As a result, many women can find themselves facing real financial difficulties when their relationship ends, particularly when children are involved.